Whilst in town to attend an event why not visit somewhere else in Paisley? I asked the question to members of our Facebook Community recently “Where are the best places to visit in Paisley or where is the best place to go?” We had a fabulous response and some I would not have even thought of, I will thank everyone personally at the bottom of this page. I am sure even if you live and work in the town you have been to a few of the places listed below, if you have your own favourite and its not listed then please use the comments form at the bottom of the page to add your very own..
Paisley Museum & Art Gallery – The memory of the interior is a big draw for many as it holds a special place in peoples’ thoughts, so shows how much an impact it can make. Barshaw Park – The serenity of sitting on one of the benches watching the world go by and having a great view of Paisley’s landscape. You can take it easy or use the outdoor gym, there is also a hidden garden which is a real Paisley treasure and often overlooked. Saucel Hill – Sitting at the top of this hill, which is close to the hustle and bustle of the busy life in town makes it seem a million miles away. Glennifer Braes Country Park – Its a hit with many visitors, the beauty of living in Scotland is you can be in the countryside within 5 minutes and with stunning views of the town and quiet peaceful soundings this place helps most people gather their thoughts for the day. Oakshaw area of Paisley – This historic area is abundant in fascinating buildings and has a story around every corner, from Meetinghouse Lane, The Wynd, PACE Theatre, The High Church with its steeple and associated history, The Gaelic Chapel, Thomas Coats Observatory and the old school building of John Neilson makes Oakshaw a must visit. The Statues of Paisley – Paisley has many fascinating statues and each tells the story of a segment of the town’s history, from Paisley’s poet Robert Tannahill and The Coats brothers through to modern day Scouts statue and lots more. Don’t miss Witherspoon’s statue at the front of The University of the West of Scotland and also our glorious Cenotaph right in the centre of town. The Sma’ Shot cottages – This really is a place where you can walk through Paisley’s history and also meet some fascinating people. There is so much to see, from the original looms and the cottage set up as a museum of the time, to a relaxing cup of tea from a china cup in the café. Thomas Coats Observatory – Look outwards towards the universe of which Paisley is of course the centre. This place is astronomical! Paisley Town Hall – Paisley’s magnificent Town Hall has recently been refurbished outside and in for the recent visit of the Royal National Mod. You will find helpful information about the town at the main desk, lovely events space and a great venue for any kind of party, of course being Scottish we need no excuse. Paisley Abbey – Parts of the Abbey date back to 1163 when it was a Cluniac Monastery, it has been frequented by many Scottish Kings. William Wallace was educated here. This is the most prominent building on this list and it is rightly so, this is a must visit. Anchor Mills – Right next to the Hamills waterfall on the River Cart which flows right past this building. This now renovated building is the least visited of all our places due to it being a business centre and private housing, this is usually only open to the public once a year on Doors Open Day, with the beautiful atrium being the main attraction. The Hamills Waterfall – Mentioned above, this is a place so close to the town centre with many fishermen trying their luck in a now healthy river. This is an excellent place for photographs and some peace and quiet. Town Centre Walk – Follow the Heritage trail and you will be guided around most of the buildings and statues of the town, information on this can be had from the Town Hall. Woodside Cemetery – The resting place for many of our ancestors, the walk around the cemetery is likely to be an informative look at the stories of people who are now at peace. The Beild is just as you enter the cemetery and is home to the 7th Paisley Scouts in their newly refurbished centre. Thomas Coats Memorial Church – The Baptist Cathedral of Europe also features on our list of favourites and when you see this Gothic Style building you will see just why. If you know someone who studied at Paisley’s University then they probably had their graduation ceremony here, making this another jewel in Paisley’s visitor attractions. When asking for this information from our members one of the group Stuart Duffy, who is a local photographer, posted the following statement which I found fascinating and is actually why I started taking interest in the town to begin with. No matter your main hook in photography, Paisley presents itself to you as a golden place to spend a day. Architectural: You could spend a day without having to travel more than a mile from the train station and have a months’ work at the end of the day. Cobblestone roads and paths, architecture running from the early 19th century and an Abbey that is not just old, open and friendly, they are positively welcoming. Nature and Wildlife: I have spent a day in Barshaw Park, regardless of the season, but if you travel further afield you have wide open spaces and wild woods to allow you to capture natural wildlife. Fashion/Social/Portraiture: There are amazing backdrops, panoramic views and cubbyholes where you can really make the session pop… within 15 minutes walk you can go from a waterfall to an ancient building and on to a leafy avenue. Best of all, its friendly, it’s greatest asset is that the people of Paisley are friendly … oh, and you are normally only 10 minutes from coffee and cake. I hope that you have found this list helpful and the next time you are in town you will think differently and visit one of these fascinating places. You can find more paisley Visitor Attractions listed on our Visitor Attraction Section. Welcome to the Paisley and Renfrewshire events page. We have a comprehensive guide to events happening in and around the town of Paisley and in Renfrewshire. 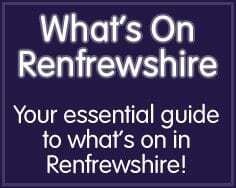 Our Partners What’s on Renfrewshire provide all the information and up to date events listings, Paisley.org.uk will still cover and promote every event, if you would like for someone to cover your event then please get in touch. For more information on our partnership with What’s on Renfrewshire please click here. We also offer event photography if required, please use the contact form below for to enquire.